For years I was obsessed with Chipotle salads. And when I say obsessed, I really mean it. For a year or two I don’t think there was a week where I didn’t grab one for dinner. It was quick, relatively inexpensive and in comparison to some other “fast food” places, Chipotle has much better (but still not great) quality standards. However, I’ve struggled with digestive issues for as long as I can remember and have a pretty sensitive stomach. Once in a while, I wouldn’t feel too great after eating at Chipotle. Whether it was additives that didn’t quite sit well with me or mishandled food, I decided to give my Chipotle addiction a rest. Instead, I decided to make my own version at home where I could be in control of every single ingredient. 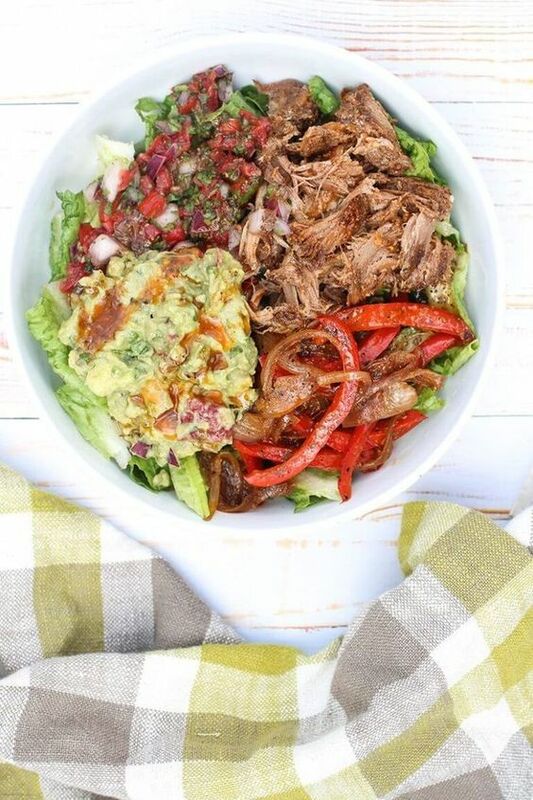 I haven’t eaten at Chipotle in ages and while I wouldn’t be opposed to getting a salad there occasionally, I’ve really been enjoying this homemade version! Heat a pan over medium high heat and add in avocado oil. Once oil is hot, add the sliced peppers and onions and adobo seasoning. Sauté until both the onions and peppers are relatively soft but not mushy. 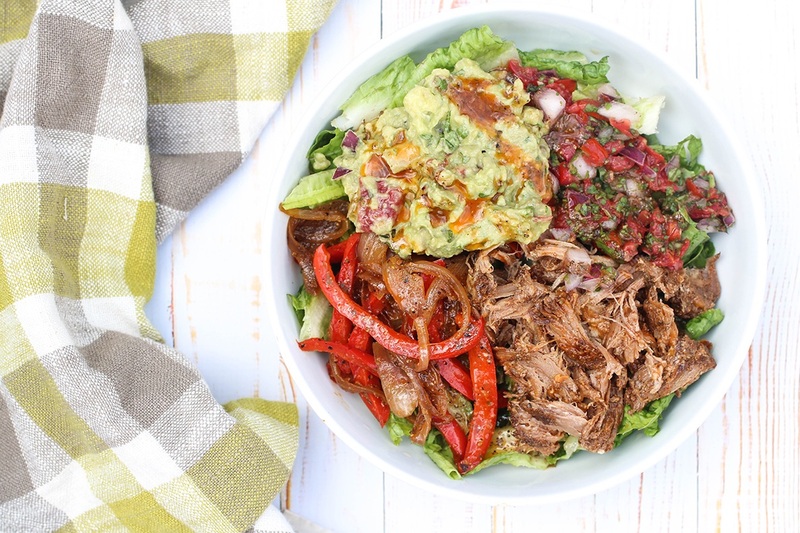 Place shredded lettuce in a bowl and top with pulled pork, guacamole, pico de gallo and onion and pepper mixture. 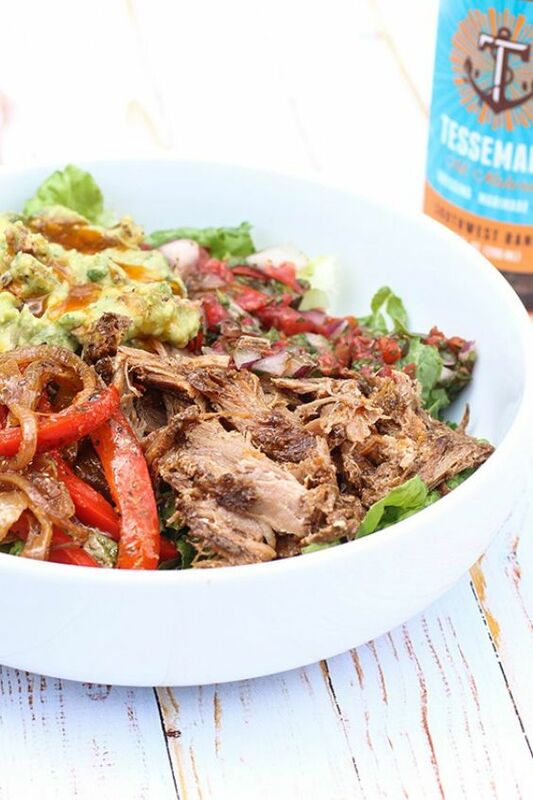 Top with Tessemae's Southwest Ranch dressing or dressing of choice.